FourFreedomsBlog - And then there were five.... THREE! And then there were five.... THREE! Looks like Obama called Orrin Hatch's bluff. 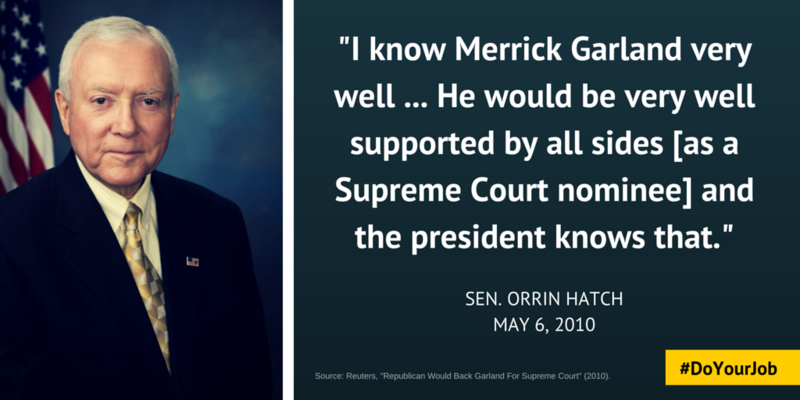 Merrick Garland is the nominee. Bob's firm just told everyone to stay at home if they can. So, the President essentially said "I TRIPLE DOG DARE YOU" to do nothing. "I have fullfilled my constitutional Duty. Now it is time for the Senate to do thiers." I fear that the GOP will no more schedule hearings or votes right now than they would if Ronald Reagan rose from the grave to tell them to schedule hearings. The modern GOP is now like the Party in George Orwell's 1984: the only goal is power. Is Ted Cruz secretly the front man for Stryper? Clinster could use some love and good thoughts, everyone. Ted Cruz treading the boards as thespian!